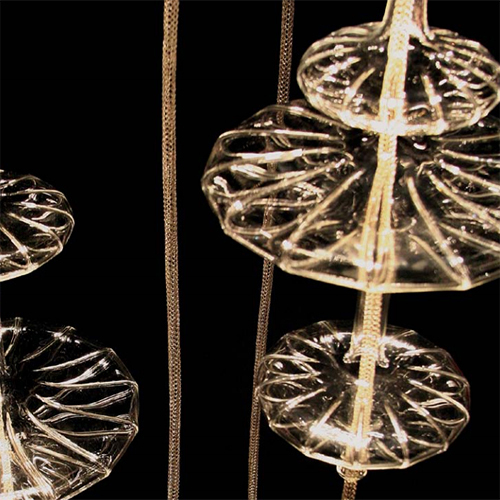 We will be working closely with Melogranoblu at the Euroluce show in Milan on 14th – 19th April. Contact Us if your would like more information on Melogranoblu’s amazing range of lighting designs. The Milan show starting 14th April will see Vondom show off many of it’s new exciting designs. 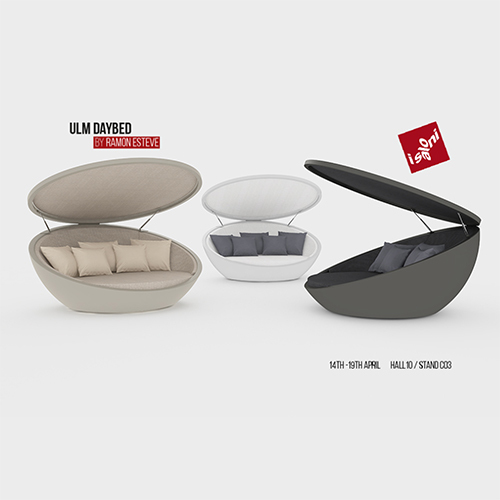 The new ULM day bed above is no exception, the perfect way to relax poolside in your first class hotel. To find out more about Vondom’s new designs, contact us at The Cue Design Store. It seems that pretty much all of our designers and suppliers are at the show in Milan. There are showing off many new designs ready for the summer, contact us to find out more about Vondom’s new ranges or arrange to meet us at the show. 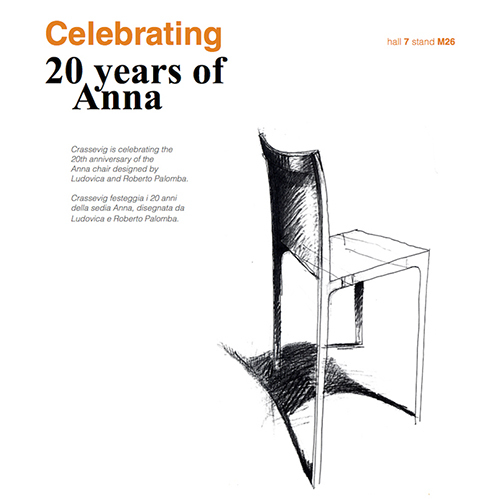 Crassevig are celebrating 20 years of their Anna Chair design at the Salon Internazionale del Mobile in Milan between 14th – 19th April. This iconic chair still sells as well today as it did 20 years ago, smart, elegant, stylist yet functional. To understand more about the Crassevig range Contact Us at Cue design Agents. 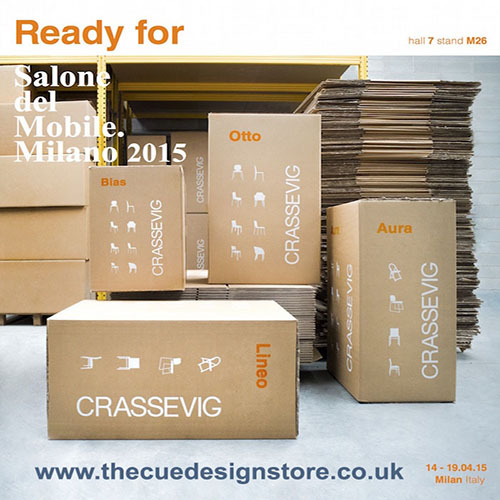 Cue Design Agents and Crassevig will be at The Salon Internazionale del Mobile in Milan between 14th – 19th April. Contact Us to arrange a time to view the Crassevig products and all the other quality designers we represent here in the UK.